Corydon Wagner doesn't need a job to create great work. In fact, the young winner of The One Club's Emerging Director's Showcase in the spec commercial section finds inspiration everywhere. We sat down with the director to talk about creating spec ads, paying for them and deciding what's next. What inspired you to create a spec ad for a huge brand? I wanted to create big cinematic idea for a major issue rather than a big brand spec. 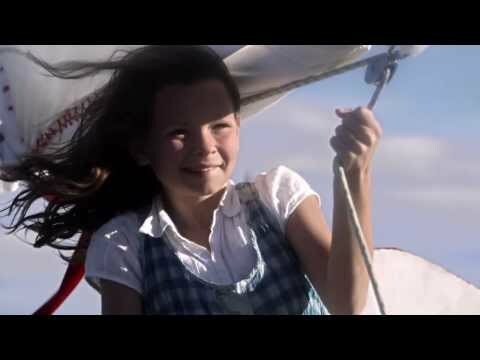 The story of wind power beginning in a child’s imagination is our great hope for the future. The idea felt grand and thus I wanted to match it with cinematic visuals. Creating an idea for a brand with a smaller footprint is always easier to pitch since you are not being compared to top directors. However, when I finished the spot, GE made sense and we ran with it. Jai Shukla at Beast has since recut the spot to a cleaner sixty seconds and we rebranded it for Vestas, which definitely feels right. Was this all out of pocket? It was all out of pocket, but I often joke that Weight Watchers paid for it since it was my big account at the time and I was shooting for them almost every other week. At the end of the day, Capture the Wind cost far less than it looks, and part of that was due to close collaboration with some very talented people from production to post. Everyone involved treated the project as a labor of love and that helped to create some visual goodness on screen. How has winning EDS helped your career? Winning EDS was huge. Since the showcase, I have received numerous calls and emails from both the agency and production side. It has only been a few weeks but I have begun to forge some great relationships with creative directors and I’m looking forward to working on a few new projects in 2014. I just finished a Sony Bravia spot as well as new Microsoft spot, which will be posted shortly. While I am signed in London, I am now looking to formalize a relationship with a US production company. Currently, I am unsigned in the US but working with a number of production companies and bidding on about 2 boards a week.